Fast-rising Ghanaian actress, Ellen Mensah, says she had to take an injection which cost about 2000 pounds to bleach her skin in order to grab rich white men. According to her, most of the Ghanaian men are jobless and poor so would She also added that because they are jobless they like wasting ladies time. The budding actress further revealed that she is now into white men only. Ellen stressed that, it is not all white who qualify but very rich ones because poor men can’t approach her. She made this known when she appeared on the Delay Show hosted by Deloris Frimpong Manso. 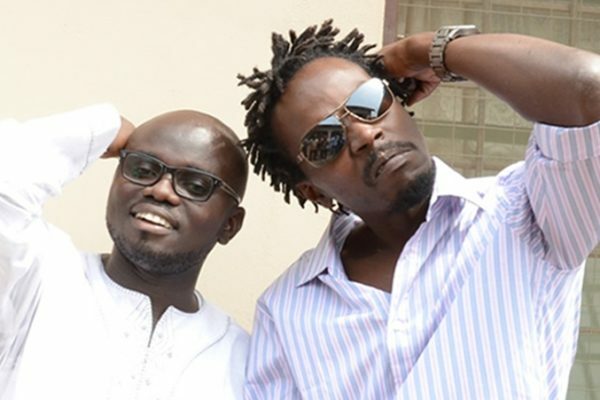 Wednesday March 13, 2019 was exactly 5 years since the shocking demise of Fennec Okyere, who was a Businessman and former manager of Rapper Kwaw Kese. Remembering his late manager, Rapper Kwaw Kese has asked the Ghana Police Service to stop apprehending marijuana (wee) smokers and concentrate on necessary matters that deserve the attention of the Police, like finding the killers of his former Manager, the late Fennec Okyere. In an interview on Neat FM’s ‘Entertainment Ghana’ programme on Wednesday, Kwaw Kese wondered why in the 21st Century; Police in Ghana still arrests people who indulge in either the smoking or cultivation of marijuana or cannabis, when there are several murderers out there walking freely. “Ghana Police is not reliable. The other time I was on my way to an interview and was I even late. I saw the Police behind me, I stopped and they said they wanted to search for weed in my car, after they arrested and jailed me in Kumasi, they are still not satisfied. Meanwhile my manager Fennec Okyere has been murdered mysteriously and the Police are not even serious about investigating his case and finding the killers,” he lamented. The rapper, who has still not recovered from the ghastly murder of his late Manager, also took to social media to remember him. He posted the late Fennec Okyere’s picture with this caption: “You’ll never be forgotten #rip Fennec #itsbeen5years”. Fennec Okyere was killed at his Manet Gardens residence on the Spintex Road in Accra on Thursday, March 13, 2014, by unknown assailants. He died at age 31. Bulldog was arrested by the Police Criminal Investigative Department (CID) on Thursday, April 10, 2014, as prime suspect in the murder of Fennec, because had allegedly threatened to kill Fennec. However, an Accra Central District Court in January 2018 set Bulldog free from allegations of murder. Ghanaian ethnomusicologist and composer, Emeritus Professor Joseph Hanson Kwabena Nketia has died. 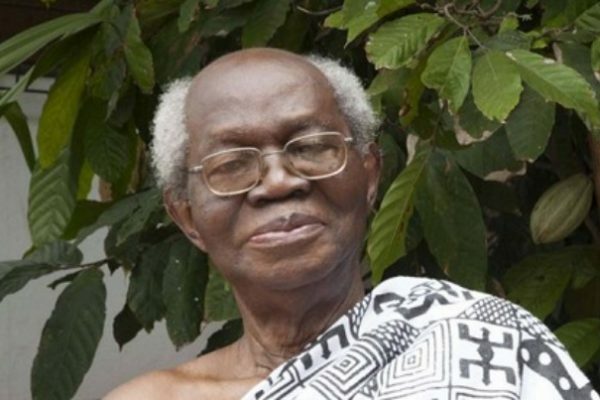 The renowned writer died at the Legon Hospital in Accra, Wednesday morning after short illness, asempanews.com can confirm. He was 97. Kwabena Nketia was born (June 22, 1921) at Mampong, then a little town in the Ashanti Region of Ghana. He received his first musical education, and eventually trained as a teacher at the Presbyterian Training College, Akropong Akwapin – where he later taught and was appointed Acting Principal in 1952. At 23, a very young age to go abroad in those days, Kwabena, through a Ghanaian government scholarship, went to the University of London to study for a certificate of phonetics at the School of Oriental and African studies. He went on (1949) to Birkeck College, University of London, and Trinity College of Music, London, to obtain his Bachelor of Arts degree. In 1958 he came to the United States, attending Columbia University, Juliard School of Music, and Northwestern University to do courses in musicology and composition. After a year in the United States, he returned to Ghana where he rapidly rose through the ranks at the University of Ghana, Legon – from Senior Research Fellow (1962), to Associate Professor, and finally a full professor in 1963. Two years later, he was appointed Director of the Institute of African Studies. Prof. Nketia is world-renowned as musicologist and composer. He is to African music what Bartok is to Western music. Of all the interpreters of African music and aesthetics, Nketia sets the pace. His concept and interpretation of time and rhythmic patterns in Ghanaian and other African folk music were revolutionary, and became standard for researchers and scholars around the world. For example, Nketia introduced the use of the easier-to-read 6/8 time signature in his compositions as an alternative to the use of duple (2/4) time with triplets used earlier by his mentor, Ephraim Amu. Although this practice undermined Amu’s theory of a constant basic rhythm (or pulse) in African music, and generated some debate, Nketia maintained that the constant use of triplets in a duple time signature was misleading. Today, many scholars around the world have found Nketia’s theory very useful in transcribing African music. Prof. Nketia’s work to reconcile the melodic and rhythmic elements of folk music with contemporary music spurred a new kind of compositional technique for African musicians and academics, worldwide. Other pioneering work include the transcription of many Ghanaian folk songs in a manner virtually free from Western influences. Kwabena Nketia studied with the Rev. Danso, who was a pupil of Ephraim Amu. It is, therefore, no surprise that his earliest choral works were deeply influenced by the pioneering work of Ephraim Amu. Some of his well-known choral works include Adanse Kronkron, Morbid Asem, Monna N’Ase and Monkafo No. Other vocal works with piano accompaniment include Yaanom Montie, Onipa Dasani Nni Aye, Onipa Beyee Bi, Yiadom Heneba, Mekae Na Woantie, Maforo Pata Hunu, Obarima Nifahene and Asuo Meresen. He also wrote extensively for Western orchestral instruments, like the flute, violin, cello, percussion and piano. But it is through Nketia’s pace-setting works for traditional African instruments that his genius is acclaimed. He wrote for a variety of combinations of modern and local African instruments. Works in this category include the Builsa Work Song (1960), Dagarti Work Song (1961), At the Cross Roads (1961), Owora (1961), Volta Fantasy (1961) and Contemplation (1961). It’s a step by step movement from Wendy Shay with the best of music. The female act signed to RuffTown Records released her debut album on the 20th of December, 2018 and it was captioned Shay On You. Surprisingly, the title of the album is also a single on the album. “Shay On You” is an afrodancehall themed song in which she brings the best of her afrobeat craft and fuses it with the dancehall genre. For someone who is new to dancehall, the Uber Driver hitmaker puts much energy into this one to make a statement. Shay On You is coined from her name Wendy Shay with the song sending the message that she is right in the faces of people and they must be ready to accept her as she is here to stay. Music is about versatility and she gets it on point. This single comes with a music video which was directed by Yaw SkyFace. 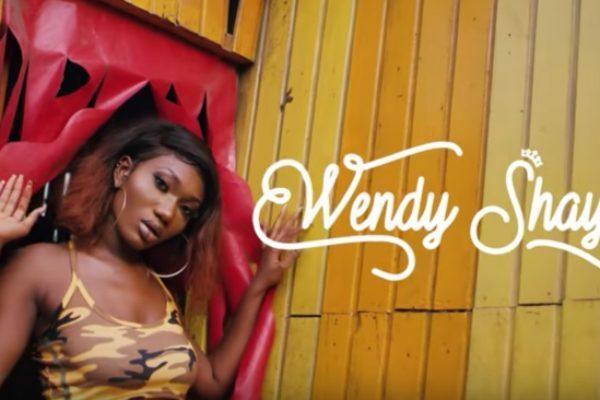 Shot on location in Jamestown, a suburb of Accra, the video shows a different element of Wendy Shay in the midst of men in a male dominated music industry. Not perturbed, her stand is very strong and she is ready for the game. Maybelline New York, the world’s leading cosmetics brand, is excited to announce Florence Ifeoluwa Otedola famously known as ‘DJ Cuppy’ as ‘MAYBELLINE IT GIRL’ for Ghana and for Nigeria. An international DJ, Musician and Philanthropist with a rapidly increasing fan base, Cuppy is well known around the continent and recognized for her skills on the turntable, her philanthropic work and warm personality. “As a young African female, it is an honour for me to be able to represent and join the Maybelline New York family! As a teenager, Maybelline was my first ever makeup purchase,” said Cuppy. Cuppy joins an impressive lineup of international ‘IT GIRLS’ who have helped shape the identity of the iconic Maybelline New York brand. “Cuppy embodies the determination, passion and dream of making it happen in New York City,” said Sekou Coulibaly, Managing Director, L’Oréal West Africa. Born in Lagos, Nigeria in 1992, Cuppy’s musical endeavours began at a young age. By the time she turned 18, whilst attaining a BSc Economics at Kings College London, she was already producing her own tracks and DJing around the world. To this date, Cuppy’s DJ skills have taken her to over 30 countries and has allowed her to perform for Presidential Inaugurations including that of Ghana’s. Cuppy’s open-format DJ style and unlimited genre catalogue takes audiences on an exuberant journey. She is praised for her ability to seamlessly fuse global tunes, relating with any diverse crowd. With her lovable personality and undeniable hard work ethic, she has quickly risen and continues her pop-cultured supreme lead role as an international pan-African brand. In 2015, Cuppy embarked on an 8-country tour of Africa called ‘Cuppy Takes Africa’, now a TV show on FOX. In 2017, she released her hit debut single, ‘Green Light’, which won the hearts of Cuppy fans around the world. 2018 saw Cuppy follow up with ‘Vybe’, ‘Currency’ and ‘Werk’. Also in 2018, Cuppy established her own foundation ‘Cuppy Foundation’ which makes education accessible to those less able to afford them. Cuppy has worked with some of the biggest and most exciting international organizations and publications and is well known for her charitable and philanthropic efforts. This partnership seeks to foster inclusiveness and empower all to make it happen. Maybelline New York launched in Ghana in 2015 and in Nigeria in 2013, taking West Africa as the fastest growing makeup brand in Sub Saharan Africa. In 2018, Maybelline New York in Ghana was named the Makeup Brand of Year during the annual Ghana Makeup Awards. In Nigeria, the brand continues to activate consumers through experiential activations. The brand continues to inspire urban women in West Africa to beauty and takes trends from the catwalk to the sidewalk. Ace broadcaster Gilbert Aggrey, otherwise called Abeiku Santana, has announced a decision to take a break from Ghanaian media very soon. According to him, he wants to concentrate on tourism, which he says is his way of life now. Santana made the announcement on Saturday when he was being honoured for his outstanding contribution to the Ghanaian media. He was given a Lifetime Achievement Award and Media Personality Award at the Pan-African Republic Honorary Awards at a ceremony held at the Accra International Conference Centre (AICC). 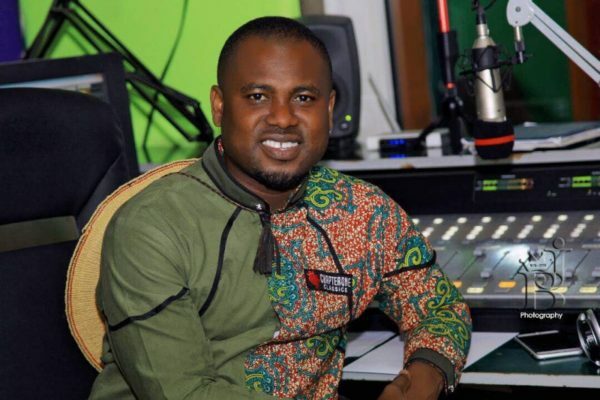 Abeiku Santana is one of Ghana’s award-winning radio personalities. He has had over two decades of work experience in the Ghanaian media space and is recognised as one of Ghana’s celebrated radio icons. He currently works at Okay FM, a subsidiary of the Despite Group of Companies. But it appears he has had enough of the media. He will bow out to concentrate on tourism. Already, he is doing very well in the tourism industry with his Kaya Tours Company. In 2017, he was listed in top 100 tourism personalities in West Africa by Balafon Awards West Africa Committee of Experts. It is, therefore, no wonder he needs more time to focus on tourism. Actress Priscilla Opoku Agyemang, known is showbiz as Ahuofe Patri, has denied reports that she is into drugs. According to her, such reports are only misconceptions by people which carry no iota of truth. Speaking on the Drive Time on Joy FM, she said many rumours about her life are untrue, adding that she has never been on drugs. “Just like every rumour I was hurt to see the news go around that I was on drugs, it’s not true. I never have been on drugs,” she told host Lexis Bill. Some months ago, reports emerged that Ahuofe Patri was into drugs and was also a heavy smoker. The actress was also rumoured to be dating singer Kwabena Kwabena at some point. Responding to this, Ahuofe Patri said that is also not true, insisting she has grown to a stage where she no longer focuses on what people say. 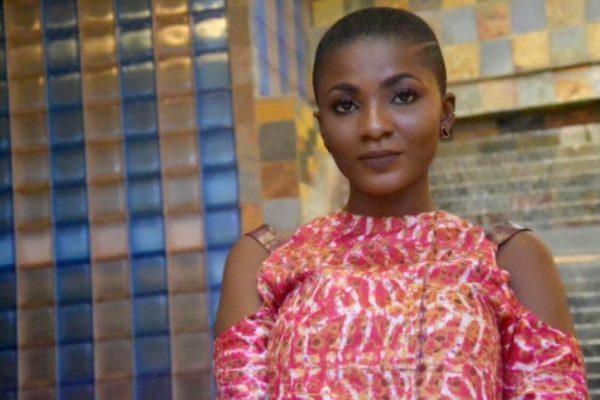 Ahuofe Patri shot to fame after starring alongside Kalybos in the popular Boys Kasa series. 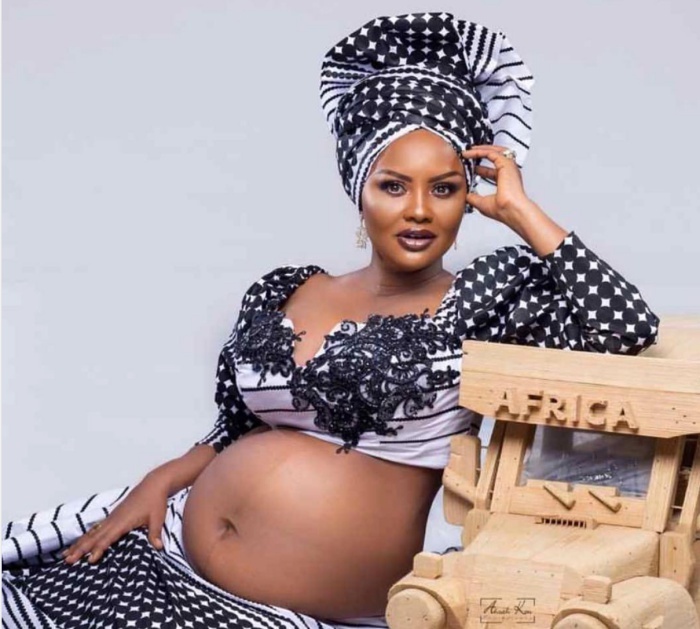 Talented actress Nana Ama Mcbrown and her husband, Maxwell Mensah have welcomed their first child in far away Canada. 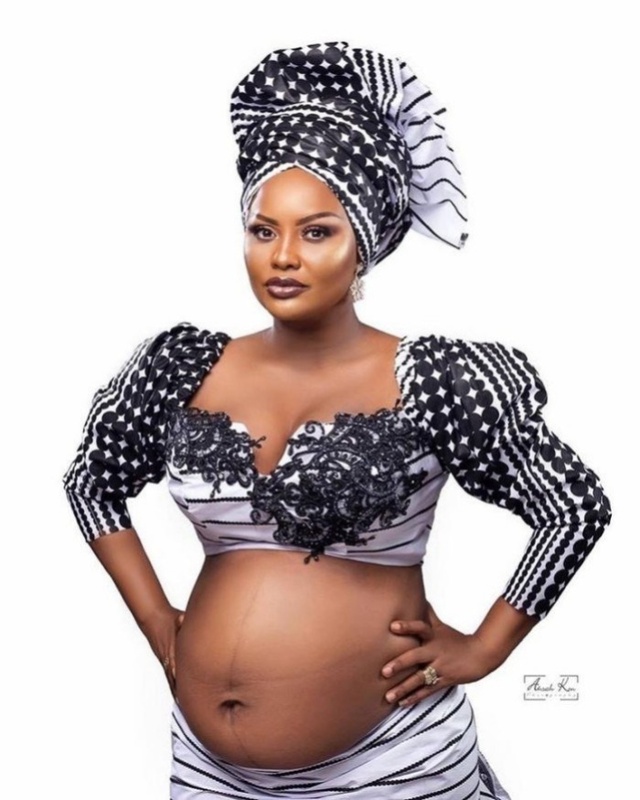 Speaking exclusively to Nkonkonsa.com, the beautiful screen goddess who is over excited and full of praise to almighty God, revealed that she gave birth to bouncy baby girl in the early hours of Thursday March 7, 2019. 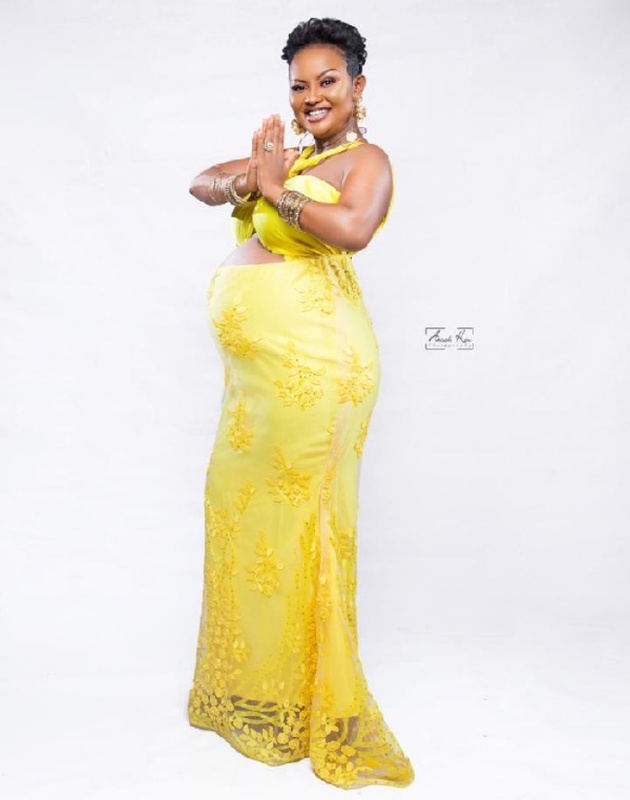 Nana Ama has assured her friends, family and her fans that both her and the baby are in good health. “Glory be to God, it is a baby girl and we are both strong and happy. We thank God. He makes things beautiful in his own time”, McBrown stated. 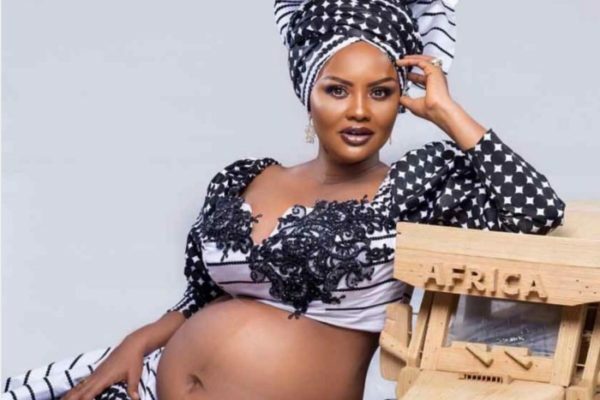 The “madam mock” actress gave birth today in a plush hospital in Canada where she has been living for some months now in preparation for the coming of the baby. Her husband Maxwell Mensah who was in Ghana, flew out of Ghana to Canada on Sunday March 3, 2018 and he was right beside his wife when their cute baby girl arrived. 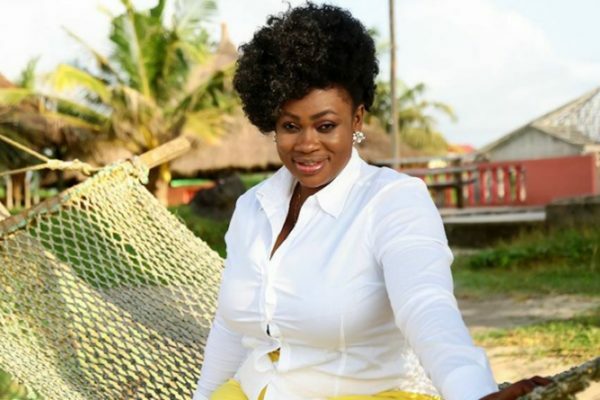 Gospel musician Philipa Baafi who has been conspicuously missing from the music scene for some time now, has hinted that she is currently going through some stressful moments in her life. The Ghanaian music star who won the hearts of many with her scintillating gospel songs has asked fans to remember her in prayers as she goes through these difficult moments. The “Go Higher” Singer revealed this in a recent facebook post, explaining that her absence from the music scene has been due to her battle against stress. She explained she was currently undergoing “distress therapy” and need the prayers and support of her fans. “Good evening to all, It’s been a while. Hope all my loved and cherished family are well. Am stressed up, so I have taken sometime off going through distress therapy. Need your prayers and support. Stay bless,” she posted. Ever since busting onto the Ghanaian music scene, Philipa Baafi has managed to entertain many with songs including; ‘I Go Dance’, ‘Megye Me Din’, ‘Go High’ and many others. In 2011, the musician lost her triplets few months after a safe delivery. According to her husband, the kids were afflicted by some debilitating sickness . Ghana’s top underclothing company, Aha! Brands has officially introduced men’s undies, , onto the Ghanaian underwear market. 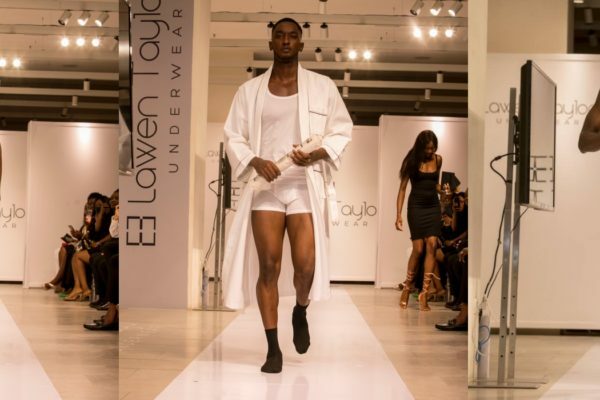 The men’s luxury underwear, Lawen Taylor by Aha was launched at a swanky fashion show at the Accra Mall on Saturday, March 2. According to Aha! Brands, Lawen Taylor is the definition of comfort and convenience – not too tight and not too free! The various cuts offer a balance that is often missing in men’s undergarments. The lingerie giants bring the Lawen Taylor product line onto the market after three years of research and development, highlighting its commitment to giving the Ghanaian man, top quality underwear that offer true value for money and also put patrons in an enviable class of immaculate gentlemen. The CEO of Aha! Brands, Maame Esi Acquah Taylor said, “Our goal is always to serve our society, improve the quality of life and do everything in our creative capacity to protect it. The importance of fashion in achieving this aim cannot be over-emphasised”. “Made from unique materials, Lawen Taylor men’s underclothing have an innovative U-shaped pouch and are created with advanced, soft, breathable fabrics. They help to reduce sweat and wick moisture away from the skin,” she pointed out. Maame Esi noted that wearing well-fitting, breathable underwear in a warm climate like ours is now very possible because Lawen Taylor has been carefully made with the highest quality standards to give men all the features they want and actually deserve. The new product line is tightly curated to ensure that men have options but do not feel overwhelmed when it comes to making essential purchases. There are a variety of styles available, including Boxer Brief, Singlet or Tank Top, Round Neck Undershirt, V-neck Undershirt, and, of course, Poplin Classic Boxer. Besides providing comfort and convenience, Maame Esi said, Lawen Taylor is a brand that is also positioned to help promote men’s health. “In that respect, Aha! Brands has established the Lawen Taylor Prostate Cancer Foundation to run a nationwide campaign under the new Lawen Taylor brand to create and promote awareness about Prostate Cancer,” the CEO stated. This disease occurs in the prostate — a small walnut-shaped gland in men that produces the seminal fluid that nourishes and transports sperms. Maame Esi noted that Prostate cancer was one of the commonest and deadliest types of cancer in men, “And it is our hope that the Lawen Taylor Prostate Cancer Foundation will contribute significantly to the national drive to reduce the increasing cases of the cancer among Ghanaian men”. The launch event was marked with an exciting fashion show, which was staged by 12 of the sexiest men in Africa, clad in undergarments from the all-new, all-classy Lawen Taylor line. The fashion show also served as a platform for the selection of official models for the Lawen Taylor brand. With excitement and passion, the models did their “own things” on the runway to warmly usher the guests at the event into the luxurious and caring world of Lawen Taylor. The night was topped off with some scintillating music and food, and washed down with some choice wines and exotic champagnes, a mark of the treat that Lawen Taylor has to offer. Aha! Brands was founded in 2012 by Maame Esi Acquah Taylor, who is also Miss Universe Ghana 2000. Her inability to find comfortably fitting bras and her desire to help other women facing a similar problem, inspired the creation of Aha! Intimates. With her savings and support from her mum, she started to design comfortable bras that would fit the average Ghanaian woman. Maame Esi has developed the brand from those simple beginnings to a major line of lingerie, which includes a swimwear collection under the label as well as Ah-Qua Swimwear. The former beauty queen and entrepreneur said her company was pleased to welcome the Lawen Taylor line, which is designed distinctively for men.